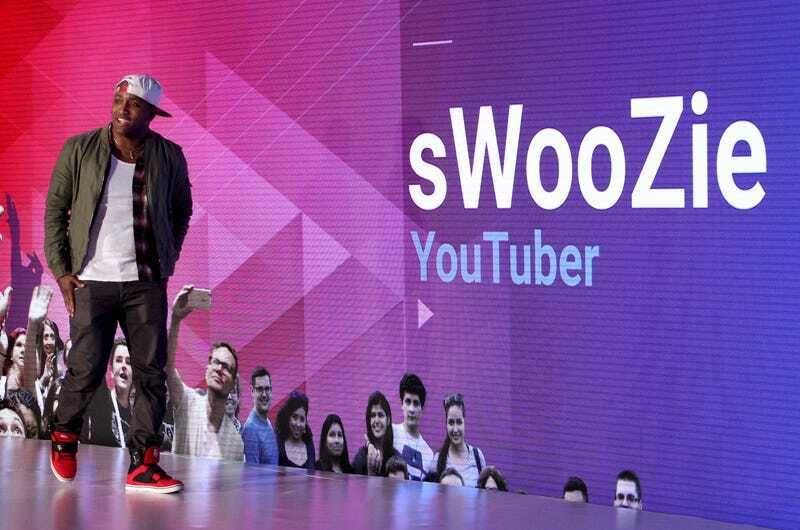 YouTuber sWooZie speaks onstage at the YouTube Lounge during VidCon in Anaheim, Calif., in June 2016. VidCon is the mecca of all things digital video. It's literally what it sounds like: a conference for video. It took place in sunny Anaheim, Calif.—yes, home of Disneyland—and it was obvious that Mickey Mouse had to move over and make way for a whole new kind of celebrity: internet stars. The best and the brightest of YouTube, Vine, Instagram and other digital-video platforms gathered for an annual celebration of the power of online video. And The Root was there! While VidCon celebrates all things digital video, there was a noticeable lack of brown faces on its "Featured Creators" tab on the official site. So I made it my mission to find those creators of color and ask them about their YouTube channel, why it's important and what it means to be a black creator in the digital world. Meet the black creators below!